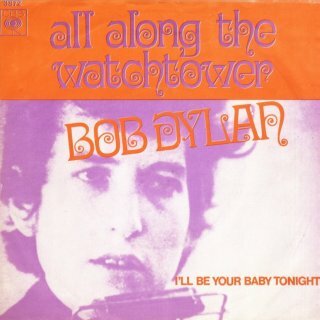 Although it was initially released on John Wesley Harding at the end of 1967, I can write about “All Along the Watchtower” as a 1968 release because it was the sole Bob Dylan contribution from that year. 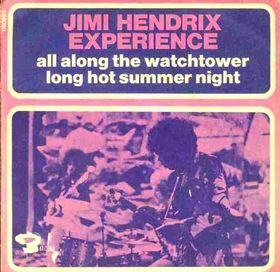 Dylan released this as a single in November 1968, somewhat redundantly since The Jimi Hendrix Experience had released the definitive version in September of that same year. There are a large number of Dylan songs that are better known in their cover version than in the Dylan version – songs by The Byrds and by Peter, Paul and Mary – but this one is an absolute blowout. Indeed, there must be a large number of people in the world who think of this as a Hendrix song that Dylan has covered. And indeed he has. His website shows that this is the song that he has performed most frequently in concert (2, 186 times – that is a mind-boggling number no matter how you slice it). Dylan didn’t start performing it live until 1974, and he has always leaned more towards the Hendrix version than to his own album cut. The Hendrix version is absolutely iconic – you can recognize it easily from the opening notes. It is positively anthemic. Dylan’s version is hard to hear in retrospect – you’re always comparing it to its better known cousin, which has that much more energy. Dylan’s version isn’t a bad one, it’s just that Hendrix’s is a great one. Lyrically, it’s a vexing song. Check out the way people grapple with it on various websites. Some see it as a reference to the Book of Isaiah, but that mostly stems from the image of the watchtower. Others read it as a class war statement. Some see Jesus in the Joker. It is certainly highly fatalistic and mystical. On the remake of Battlestar Galactica, “All Along the Watchtower” holds the key to all of human understanding. That’s a lot of weight to put onto a pop song, but if you’re going to explain your entire series that way, this is probably one of your better choices. It’s a cyclical song that fits strongly with the themes of that show. Given how frequently Dylan has performed it, I’ve often wondered if it is his “favourite” among his songs. 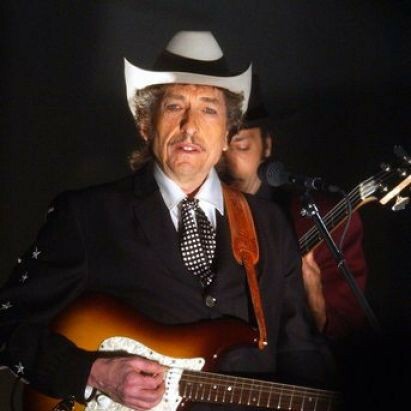 “Like A Rolling Stone” is the only song that he has performed 2,000 times (and fewer than “Watchtower”), and only a small handful of others cross the 1,000 performances mark. To me, it sounds like the first song that signifies the fully mature Dylan sound, but even then it is filtered through the Hendrix sensibility and not the Nashville sound that you find on John Wesley Harding. It’s such a short, cryptic song – it has all the spare elements that Dylan seemed to be looking for at that point in his life.